After a bad experience with a hub in Frankfurt, which Air India had to dismantle in just 17 months, the government carrier does not plan to make any new one in Europe. The Irish civil aviation minister had been quoted as saying AI was thinking seriously in terms of a hub for Europe in Dublin. "We do not plan to make any hub in Europe, or Dublin for that matter, because it does not make sense for a carrier like us, which has direct flights to the US. 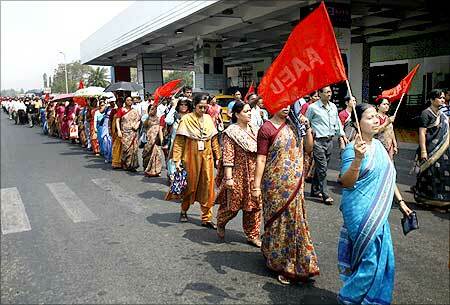 All our flights are doing well," said a top AI official, who did not want to be identified. Image: Air India's newly acquired Airbus A321 and Boeing 777-200 LR aircraft at the Mumbai airport. He added the earlier hub in Frankfurt did not prove beneficial and wasn't worth the cost. "We are saving Euro30 million (Rs 190 crore) per year by dismantling our Frankfurt hub. "A hub in Delhi is doing well for us," he said. The airline made Frankfurt its hub in June 2009; this was dismantled in October 2010, after deciding a large number of flights could not be launched through the hub, apart from the expense. "Lufthansa, with its base in Frankfurt, being a very strong airline, also hampered our plans to develop Frankfurt as our hub," said an AI official. On a recent visit to India, Ireland's minister for transport, tourism and sports, Leo Varadkar, had told journalists an AI team would be visiting there in the next six to eight weeks to study Dublin airport, selecting this after a study of around 10 airports in Europe. 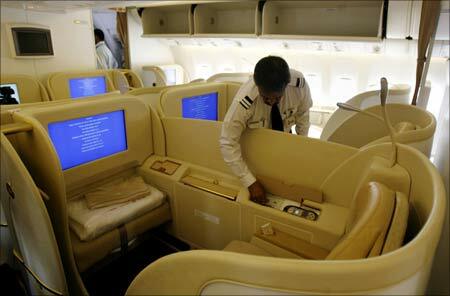 Image: An official looks at the newly introduced first class cabin section in Air India new Boeing 777-20. Varadkar also said they were looking at establishing direct air links between India and Dublin and allowing fifth freedom rights, which allow an airline to pick up and fly passengers from one foreign destination to another, for airlines operating on these routes. These offers would otherwise look lucrative but analysts feel Dublin is not a good choice even with these offers. 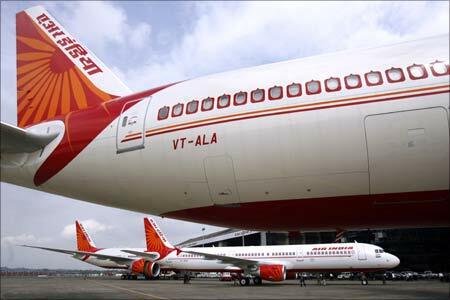 "The fact is that Air India needs an international hub but whether it should be Dublin or not should be debated properly, because the airline does not have room to make wrong decisions. "Also, Dublin does not seem to be a good proposition," said Jeetendra Bhargava, who retired as executive director from AI. He explains further that an international hub for AI would be used to receive flights coming from various destinations in India and would have flights connecting to the US. "The hub should have a potential of its own, so that flights reaching the hub should have at least 20 per cent passengers for the hub but Dublin does not have that potential," Bhargava said. Dublin is home to only 30,000 Indians, mainly Gujaratis, and the destination also does not have enough tourism potential. But Varadkar feels Dublin has the potential to be a hub because a huge number of Irish travel to Australia and other parts of Asia through the Gulf, which AI can carry through Delhi. "Dublin is also one of the three lowest-cost airports in Europe. Another major factor in favour of Dublin airport is that it offers full customs and immigration clearance for passengers going onwards to the US," he said. The US Customs and Border Protection facilities allow all departing passengers to the US to clear not only US immigration but also full US customs and agriculture controls. With this facility, the passengers can then land at any US airport, collect their luggage and move quickly to their next destination without any further processing. Dublin's weak links do not end with low passenger numbers. The largest runway at the airport is only 8,500 ft, which does not make it fit for operation of long-haul aircraft with full load. "With the amount of fuel you need to have in the aircraft for a Delhi-Dublin flight, a Boeing 777 will not be able to land or take off on this runway. 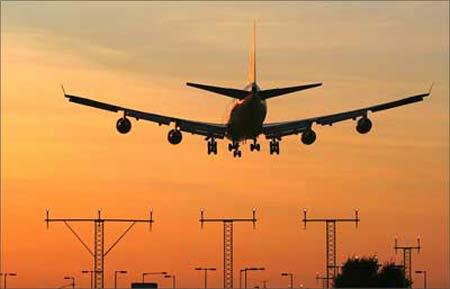 For such operations, one at least needs a 10,500-ft runway," said Mohan Ranganathan, a Chennai-based aviation analyst, who has worked as a pilot with various airlines. Image: An Air India Airbus A321 sits on the tarmac in New Delhi. He adds that the airport is also 'notorious' when it comes to landing and takeoff, and pilots need special training, which would be further trouble for the ailing carrier. Analysts also feel AI's direct flights to the US are doing well and there is no reason why the carrier should compete with its own direct flights by launching through any hub in Dublin. "With terminal-3 at Delhi airport already functioning as the hub for Air India, there is no reason why the airline should even look at any other hub in Europe. The carrier can do wonders for itself by routing all its operations through Delhi," said a Delhi-based analyst, who did not want to be identified. 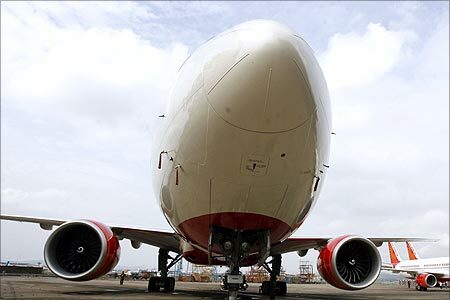 Image: Air India's newly acquired Boeing 777-200 LR is on display at the tarmac of Mumbai airport. This is the costliest hotel ever built in India!